First radiograph shows homogeneous shadowing in the right lower lung zone, which is sharply delineated towards the accessory fissure indicating pathology of the middle lobe. The air bronchograms are visible. 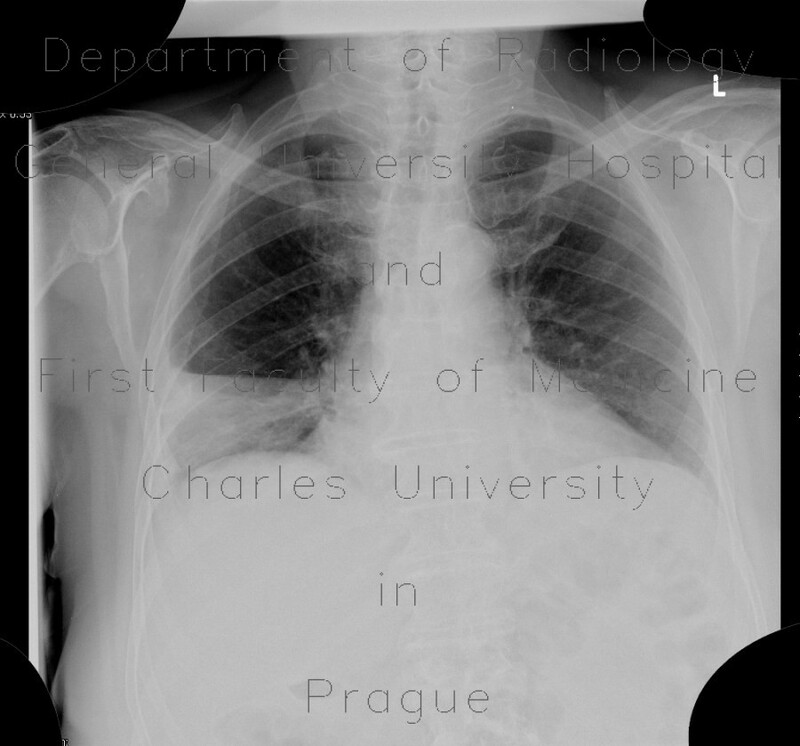 Second radiographs shows that resolution took place because the transparency of the right lower lung zone increased with only one segmental atelectasis remaining. CT shows correlation with the first radiograph.